THE Philippines achieved mixed results at the World Electronic Sports Games (WESG) that ended on Thursday in Chongqing, China. TNC Predator dominated its international DOTA 2 rivals to win the DOTA 2 title on Sunday. The team consisting of Kim “Gabbi” Santos, Armel “Armel” Tabios, Marc “Raven” Fausto, Timothy “Tims” Randrup , and Nico “Eyyou” Barceleon managed to beat powerhouses team Russia and Keen Gaming of China en route to the gold medal. 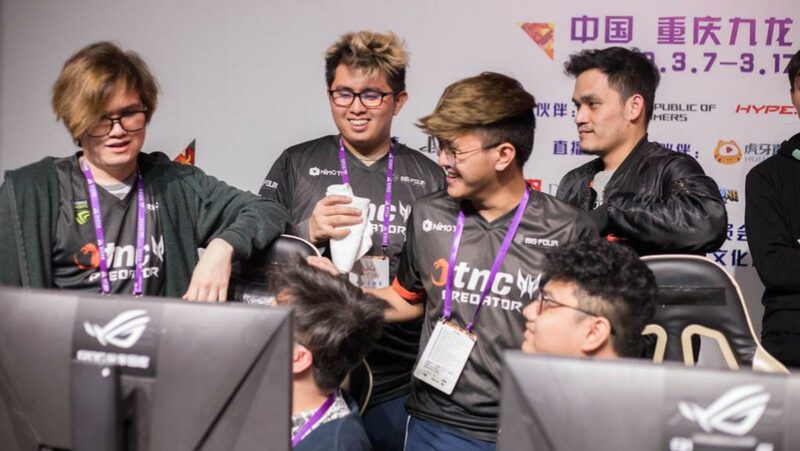 With the win, TNC Predator became the first team to win the title twice, also winning the first edition of the tournament back in 2016. The win also meant a hefty prize money of USD 500,000. TNC were the first seeds of group C coming to the playoffs and did not drop a single game in their championship run. Meanwhile TNC’s CS:GO team also achieved positive results as they made it to the round of 16 before losing against Japanese team Absolute. The team managed to beat team ENZO of Hongkong 2-0, and held 5Power of China to a draw (1-1) to make it out of their group stages as the second seed behind team Ukraine. Female CS:GO team Arkangel, however, failed to move from their groups after failing to win a single match. Hearthstone representative Euneil “Staz” Javinas also failed to make it out of his group after losing against British opponent Jack “DeadDraw” Bancroft in a tie-beak for the final seat. Starcraft II player Caviar “EnDerr” Acampado, for his part, ended his journey in the group stages with a 1-4 record.